We’ve all been there: life is going swimmingly – birds chirping, flowers blossoming, ankles holding up as they were designed to and then suddenly. Boom. Ankle, gone. It might be as simple as hitting the edge of the footpath, or as spine-tingling as landing on top of someone else’s foot in a sold out arena. Its all equally brutal. Ankle sprains are no fun adventure. Regardless of the cause, the short period following such an injury involves much hobbling, impaired gait and a whole lot of pain. The theory tells us that ankle sprain incidence can be reduced by improving ankle joint stability and proprioception. As is becoming a common theme in all my posts, get that injury diagnosed. Properly. Objective diagnostics such as x-ray, ultrasound and MRI are the way to go. Through observation a trained health professional might be able to hazard a good guess as to what the injury might be, but at the end of the day a guess is a guess. I’d prefer to deal from a place of certainty if I was working at rehabilitating an existing ankle injury. An ankle sprain usually results in a small tear of one of the many ligaments that are responsible for stabilising the ankle joint through all the daily rigours that we subject them to. The notion of joint “stability” is one of the primary focal points of any rehabilitatory (or preventatory) intervention. Joint stability refers to the ability of all the surrounding tissue to be in harmony with one another. That is, each time the joint is under stress all the muscles are applying the correct amount of tension in correct timing. For example, if you stand on one leg, the amount of wobble that occurs at the ankle joint is a good indicator of ankle joint stability (yes, there is stress on the abdominal muscles as well). By improving ankle joint stability, this ‘wobble’ will ideally be minimised and ankle joint stability improved. The muscles of the foot and ankle are constantly computing information from the external world and tweaking the ankle control to compensate. When it hits something it does not expect the ankle can lose its tension and ligaments may be compromised. Naturally, there are some external stressors that no amount of ankle stability can withstand without injury, however many of the minor ankle sprains, as well as repeat ankle sprains can be prevented. Ankle stability should be an unconscious action, we can improve the speed and control of the unconscious by first practising it during consciousness, just like learning to walk takes all our brain power when we are two years old, but becomes second nature as we master it. If its learned incorrectly from the start then issues can arise later on subjecting it to more risk. The application of ankle stability exercises can vary depending on the age of the individual as well as by accounting for their daily rigors. As always, take the below exercises as examples rather than prescription. If you are unsure you should seek out your local Exercise Physiologist or rehabilitation provider. The below are intended as preventative exercises. The exercises are not advised immedietly after a serious ankle sprain. 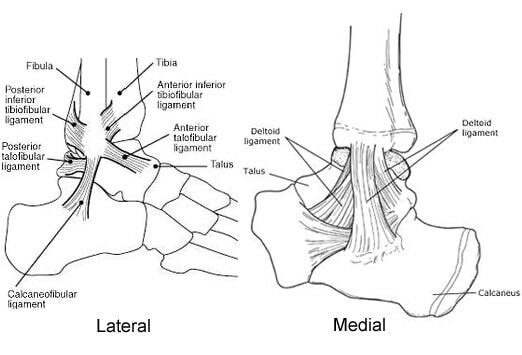 The general premise is to put the ankles in a position of slight instability so that ankle stabilisation has to be challenged in order to improve. Standing on the floor/piece of foam in a tandem stance to further increase ankle instability. Dynamic balance generally will need to emulate your daily tasks that could compromise the ankle joint. 1. Walking – walking is the simplest form of dynamic balance training. Walking works to improve the brain-ankle harmony by allowing for faster information processing for the world around us. Treadmill walking is the simpler version as each stride should elicit the same stress on the ankle. Then progression to natural and unpredictable environment can further ankle stability. The more unstable the surface the greater ankle stability will be challenged. For example, walking on soft sand will be a major stressor of ankle stability. 2. Jumping – similarly, jumping and landing can also work to help improve the body’s ability to maintain ankle stability. Each jump trains the maximal power generated at the ankle, and each landing trains the ankles ability to brace on impact. Running: jump, land and change direction. There are many ways that ankle sprains and tears can be reduced. The general premise is to improve ankle joint stability by training the ankle to compute information from the environment at a faster rate. Ankle joint stability can be improved by continually increasing the difficulty of the environment to elicit a stress response in the muscles and ligaments of the ankle joint. Although many of the most serious injuries may be unavoidable, more minor ankle injuries can be reduced or prevented altogether with a small amount of attention. Previous PostFor Shoulder’s Sake!Next Post Research: Exercise increases brain size & memory.